Got together with friends and drank a great white along with 3 great Cabs Cooked a great Surf and Turf with stuffed lobster tails I got at Stowe’s in West Haven and filet mignon. Overall had 4 really strong wine. It was interesting seeing the difference between the 2014 and 2013 Cab’s. Obviously, winemaker and vineyard play a part hear but the Myriad and Stone the Crows are from the same vineyard so it was nice to see the comparison. The Cabs were exceptionally high quality but all under $100, which is the going rate for high end Napa cabs nowadays. For what they were, they were a relative bargain. On February 25th, we got together for our Winter wine club meeting. We didn’t have a theme for the meeting so everyone could bring whatever they wanted. We were fortunate enough to have someone bring some Pepe’s pizza which was very good. We also had some homemade perogies, an assorted mixture of apps, some desserts and probably the greasiest eggplant rollatini I have ever had (I brought that, can’t always pick a winner). The meeting proved to be very interesting with a lot of the wines scoring very closely together. The Perfect Bubbly to Ring in the New Year! Let’s face it, people try to drink sparkling wine all year but it’s synonymous with one particular holiday: New Year’s Eve! There is nothing quite like popping a nice bottle and ringing in the New Year (along with the Twilight Zone marathon on SyFy)! Oxford Liquor Shoppe has you covered for all of your New Year’s needs. Here are fours great bottles to celebrate and won’t break the bank. #73 on this year’s Wine Spectator Top 100 Wines of 2016, this is a clear step up from the normal Korbel bottling. Another very affordable bottle from California. This comes from one of the best sparkling wine houses in the United States, making quality stuff for decades now. A step up from the Korbel. Sigura Viudas has always been a house favorite but this is a nice contrast to the entry level style. While the entry level aims for crispness and acidity, the Aria goes for creaminess. Almost like a mini version of the Vollereaux but at a fraction of the price! This is a bit more expensive but a great value for a Champagne. This is better than Moet’s Imperial or Veuve Clicuot and less expensive to boot! Been carrying this for a long time and it never disappoints. A creamy style that is sure to please! Wine Spectator’s Top 100 Wines of 2016 Available at Oxford Liquor Shoppe! The world of wine is just as trendy as anything else. Wines become the hottest thing then all of the sudden they’re not. Over the years things like Blue Nun led the rise of Riesling from Germany, California introduced their version of barrel aged Chardonnay as well as the White Zinfandel craze, and more recently Shiraz from Australia had it’s time in the sun. Only the quality of the wine and pedigree of the grape dictate whether it sticks around after it’s hot streak. The current hot trendy wine currently belongs to the Malbec grape from Argentina but the grapes origins come from the old world. Malbec’s birthplace is in the French region of Cahors. The wine was grown there for several hundred years enjoying great notoriety from the middle ages until the 19th century. The grape, known locally as Cot, had a great reputation for quality and was shipped all over the world. “The black wine” of Cahors rivaled Bordeaux to the Northwest but the region had two devastating events. The first was phylloxera, an insect that attacks grape vines and kills them. Whenever they hit, the vines need to be grafted to American root stock which the insets won’t go after. The second event was a frost that decimated 75% of the regions vines in 1956, effectively wiping them out. It takes years, even decades, to recover from something like that. After that the grape went dormant. The grape is one of the six red grapes allowed in Bordeaux wines but it was never a major player there. It wasn’t until Argentina came along and made the grape it’s own that Malbec became a major player again. It’s easy to see why Malbec has become so popular over the last 6-7 years. The wines are typically fruit forward, easy drinking and aren’t as heavy or tannic as a Cabernet Sauvignon. Most importantly, the quality is high but the wines are inexpensive which has really fueled it’s popularity. Steak houses can serve it by the glass cheap, offering a tasty compliment to a juicy steak. Argentina has been the epicenter of this movement and it’s the most widely planted grape in the country.They have done some great things with it, including some high altitude vineyards that are some of the highest elevations for vineyards in the world. With the popularity of Malbec comes other regions trying there hand with the grape. Versions have surfaced from Bordeaux, California, Chile, Washington and of course Cahors trying to get back in the game. I thought it would be fun to pick out three and taste them against each other. Here are the results. I have to say this was fun. It was interesting to compare and contrast the three wines plus I love to see diversity in wine. It’s good to see Cahors trying to establish itself back in the quality circle. That wine really opened my eyes to the region. Washington seems like it can do interesting things with the grape although they need to try and keep prices in check to compete. Argentina is certainly doing great things with the grape and I firmly believe that the wines will have some longevity because the quality is clearly there. Being a sommelier and known as a “wine guy,” people often ask me if you could really tell the difference between a $100 bottle of wine and a $10 bottle of wine. I usually tell them “It depends.” There are so many factors that go into that question. Let’s assume that the price above for each bottle is the actual cost and not discounted. Let’s also assume that the comparison is between two bottles from the same or similar regions. The reason for this is if your comparing a Napa Valley Cabernet Sauvignon to a Bordeaux they are very different wines. If you have the Napa Valley first, these wines typically have more alcohol and are more fruit forward with bombastic personalities. Following up with the Bordeaux would make it seem too rustic and simply overpowers the wine. Having the Bordeaux first has the opposite effect. A Bordeaux, typically with lower alcohol and more finesse, makes the Napa Valley Cabernet too alcoholic and flabby. So you really need an equal comparison. The last factor is it depends on the taster. If you have someone that doesn’t have that much experience tasting wine try the two bottles they probably aren’t going to see a difference. So the answer would be no. Unless you enjoy wine, I would not advocate spending that much money on a bottle of wine. So let’s say that the conditions above are met. Now what? Well I believe that there are good bottles of wine at every price point. So there are nice bottles to be had for $10 and there are some bad bottles to be had at $100. So if you picked out your best $10 could it beat a bad $100 bottle? While it’s certainly possible it’s still a long shot. When a winery is making a bottle costing $100, they are aiming for a very high quality level. To bring the 100 point wine rating scale into the picture for a moment, someone buying a $100 bottle may be expecting at least a wine rating of 95 points. Anything below that may be a disappointment. But for a $10 bottle, a really high quality one may get 90 points. So although that may be a nice bottle, especially for the money, it might not be enough to say it is better than the $100 even though it may not reach that 95 point threshold. No don’t get me wrong, there are some bottles that cost $100 that aren’t even hitting that 90 point mark. We both agreed the aromas on this were closed, meaning it was not giving up much. What I did get was some plum and iron. After sitting in the glass for a while the nose started to open up. Tasting this wine was a different story. It had some nice plum, cherry and iron flavors. It certainly had some complexity to it but my friend and I then argued over the finish. I said it lasted about 30 seconds, which to me is long. My friend argued that 30 seconds was not a long finish and it was shorter than the other wines. Overall I gave this wine 92 points and my friend scored it a 90. Interestingly enough, my friend called this out as the ringer before even tasting the other wine!. Since I had it a week or two before, it was pretty easy for my to identify it immediately as well. This was a much bigger wine than the first one. The nose exploded out of the glass with aromas of blackberry, black cherry and roses. It was much more intense and very much from Napa Valley. The color on this was a very dark red, somewhat similar to wine 1. Drinking this was sheer joy! Favors of blackberry, currant, vanilla and a touch of iron dance across your palate. This was not just a monster wine though. It was beautifully put together that balanced power and elegance. The finish lasted about 45-50 seconds, clearly longer than the first wine. My friend’s impressions were similar to mine. I gave it a 96 and he gave it a 98. An important distinction between this wine and the other wines was the color. As a red wine ages it gets lighter in color and this one was starting to show some bricking around the rim, a clear sign of age that my friend quickly pointed out. The nose on this also exploded out of the glass with sweet cherry and plum but also showing some more mature aromas of mushroom. Similarly on the palate it had some nice flavors of plum, cherry and blackberry but started showing mature notes mingled in with earth. The finish on this was about as long as wine 2. My friend and I both gave this 96 points. Tasting the Intrinsic on it’s own was one thing but tasting it next to two high end wines was another. It first got my attention by getting 92 from Wine Spectator. On it’s own it’s a fantastic wine for only $20 and could probably sell for three times it’s price if it came from Napa Valley. My friend is a more experienced taster and it was easy for him to pick this out without even trying the other wines. He actually used deductive reasoning to pick out his wine as well. Since he guessed wine 1 was the ringer and he knew that he didn’t bring an older wine (wine 3), he concluded wine 2 was his. The Lail received a perfect score, 100 points, from Robert Parker. 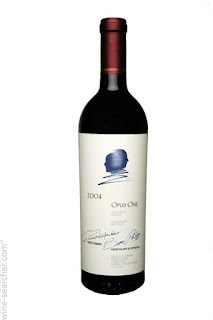 Opus One, when the 1979 vintage was released, was the most expensive wine from Napa Valley at the time. 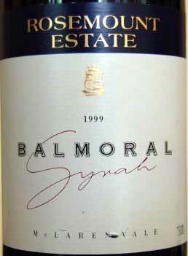 It’s had its ups and downs over the years but the 2004 recently got a 96 from Robert Parker. This certainly wasn’t highly scientific but it was fun to put the above theory to the test. The less expensive bottle definitely stood out compared to the other two wines. I’d like to do this again but with a larger sample size. It’s pretty safe to say though that on this day the less expensive wine was identified as inferior to the other wines. That Perfect Bottle of Wine for the Holidays! Oxford Liquor Shoppe can’t take the stress out of the holidays. But we can take the stress out of finding that perfect bottle of wine. Whether a gift for someone special, something to compliment dinner or just something to sip on, Oxford Liquor Shoppe has what your looking for. Here are some great inexpensive bottles of red wine and one white we have in stock that are great for the holidays! We even tells you what it pairs with! A perennial favorite, The H3 packs big, juicy Cabernet flavors into a fantastic price point. Bottles like this from California cost three times what this costs. A real steal for the money! Not to be confused with Columbia Crest, Columbia Winery also hails from Washington but presents a different Cabernet Sauvignon. While the H3 has that big upfront fruit, this shows more balance and is made in a more classical style. While still having nice fruit, earthy flavors balance it out to present a nice contrast to the H3. Year in and year out the Meiomi delivers the goods and the 2013 may be the best yet! Big, rich, pure Pinot flavors dance across your palate and are mesmerizing. One of the easiest bottles to drink because the tannins are so soft and it goes down so easy. Unless your an old school idealist, your going to love the Meiomi! 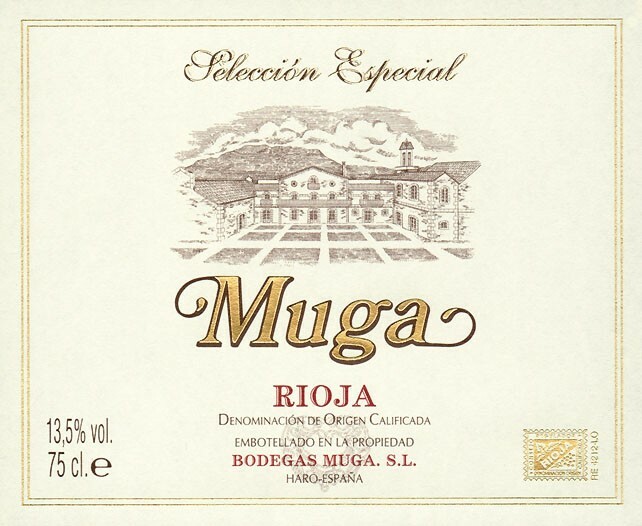 Speaking of old world wines, this is classic old world style Rioja! Not the fruit driven wine like the H3, this mixes more mature red fruits with more earthy flavors for a elegant, nuanced wine. The list would not be complete without a white wine and figured we should stick to the most popular white grape: Chardonnay. Byron has always turned out beautiful Chardonnay and Pinot Noir but they introduced the Santa Barbara County line a few years ago and it presents a nice entry level price point. This Chardonnay is a great value and if this came from Napa or Sonoma it would cost twice as much! Displaying classic Chardonnay flavors, this uses the right amount of oak to please the people that like it and the people that don’t. Stop by the store at 19 Oxford Rd in Oxford, CT to see these and other great selections. Our in house Sommelier can tailor something to your specific needs so come by and say hello!